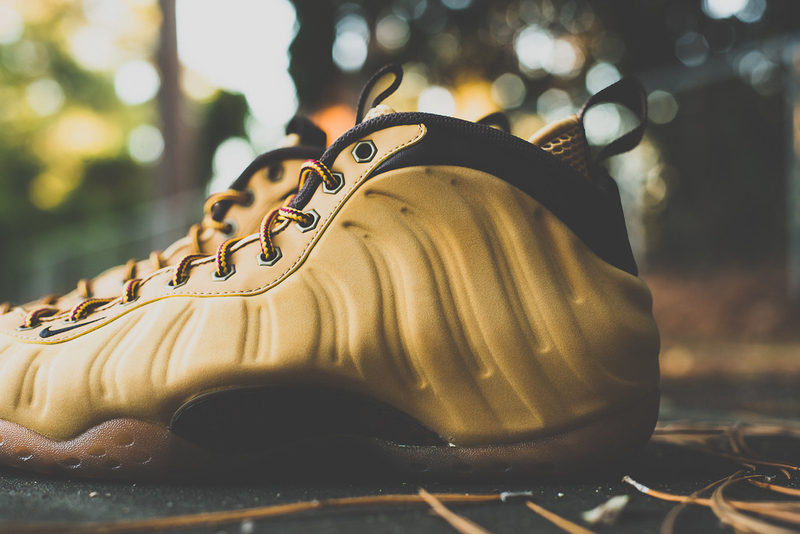 Here's our best look yet at the latest 'Suede' Nike Air Foamposite One. 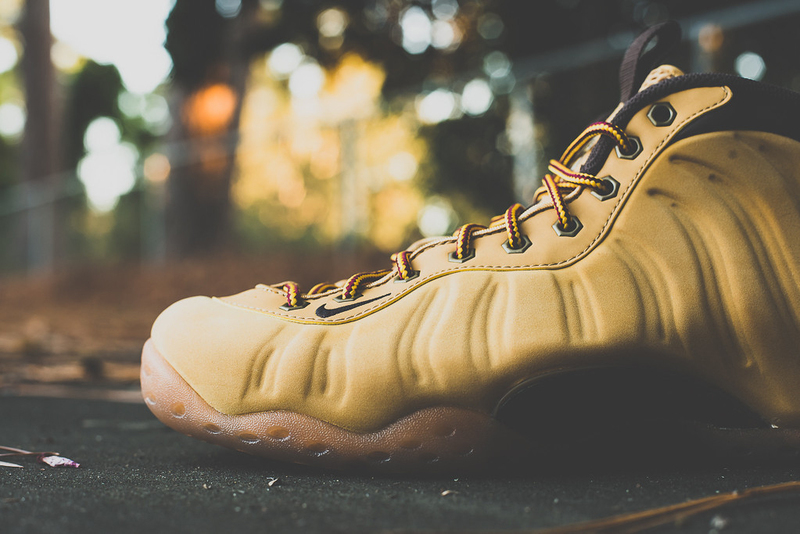 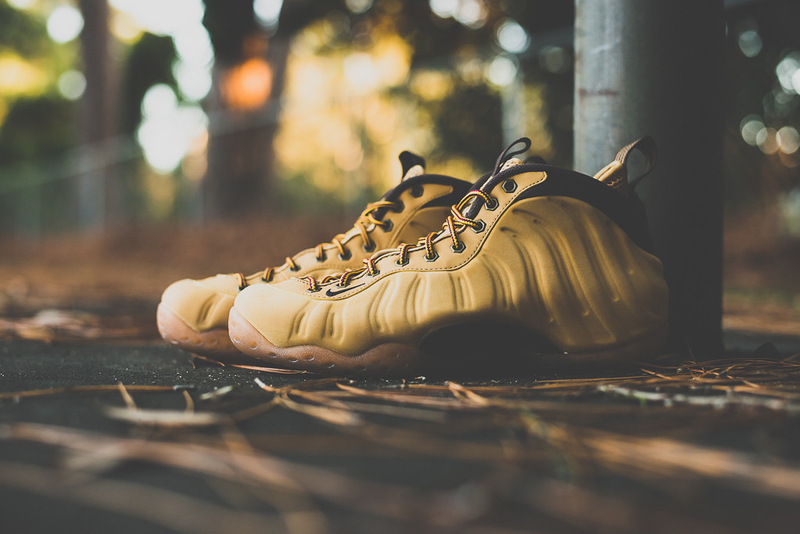 After releasing overseas, the 'Wheat' Timbs Foams are set to drop stateside. 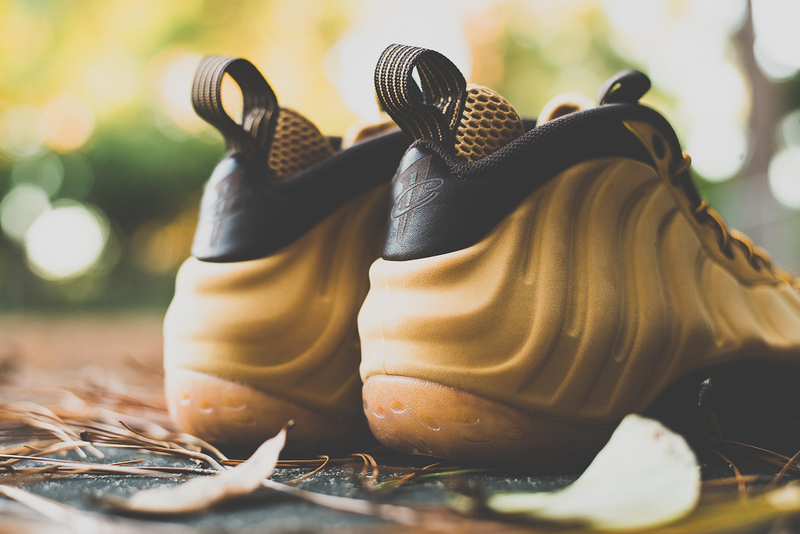 A Premium edition, they come in a haystack and track brown colorway. 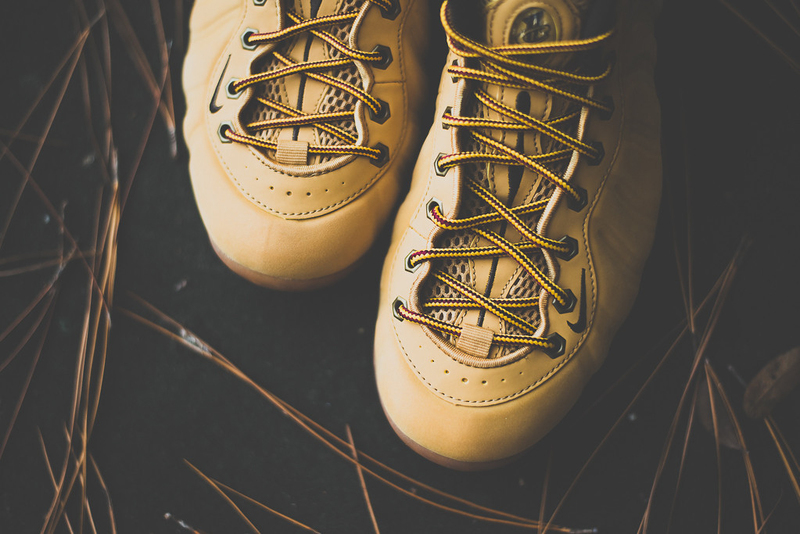 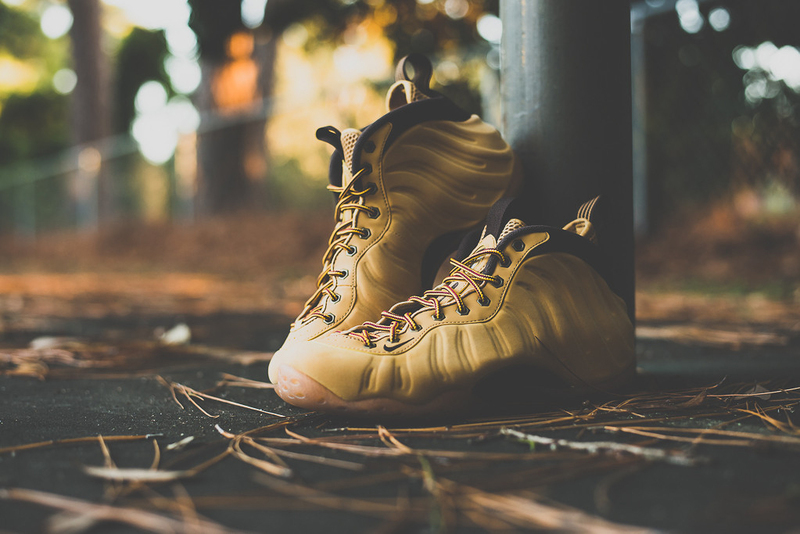 Featuring a wheat-based leather upper with buttery nubuck covering the Foamposite. 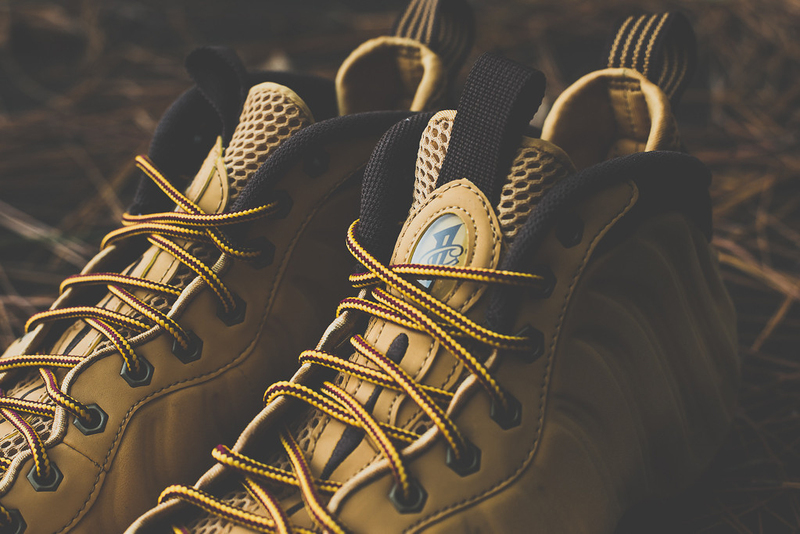 Brown accents along with boot laces, gold metal eyelets, a lasered '1 Cent' logo on the back heel along with a full translucent gum rubber outsole finishes this pair off. 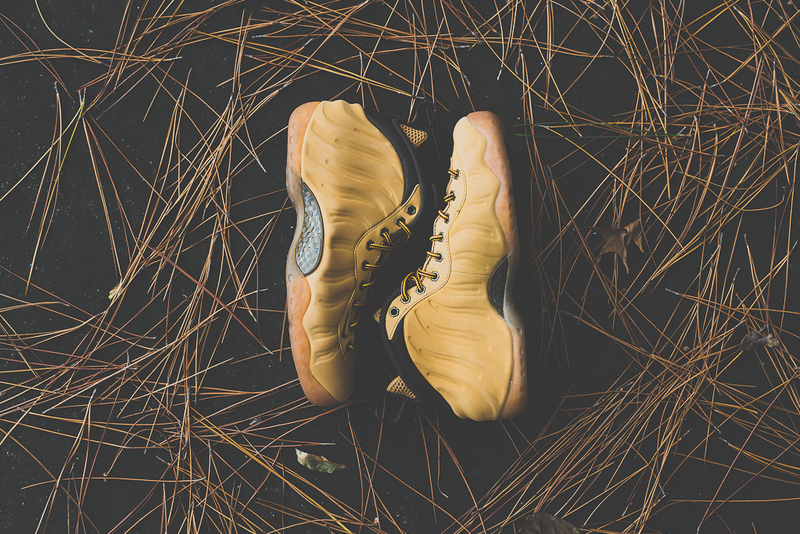 The 'Wheat' Nike Air Foamposite One Premium hits nike.com as well as select Nike Sportswear retailers such as Sneaker Politics on Saturday, October 18.